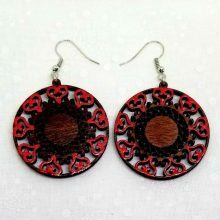 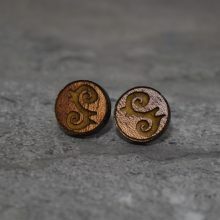 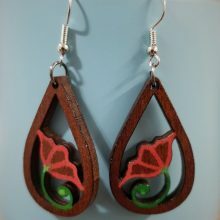 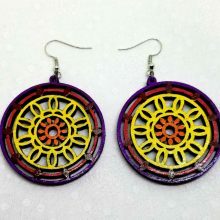 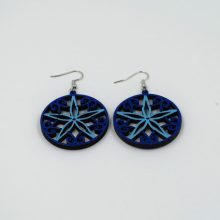 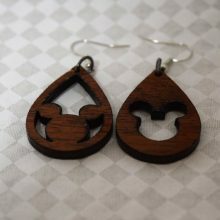 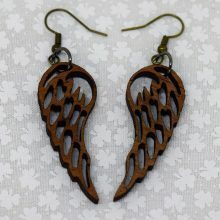 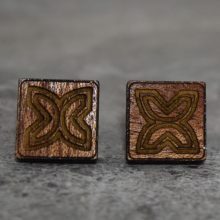 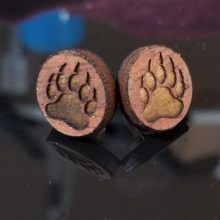 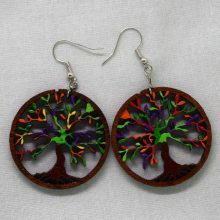 Many different types of Laser Cut Earrings. 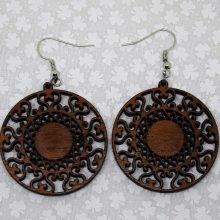 Cut from different hardwoods like mahogany, oak, walnut, birch and red cedar. 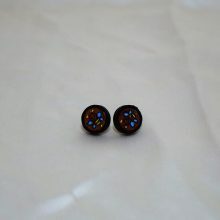 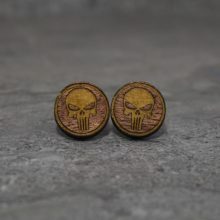 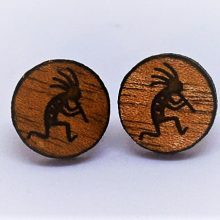 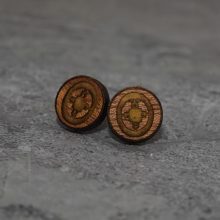 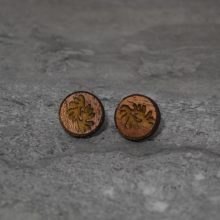 We have both stud and drop style earrings.